Are you looking for a way to improve your home or business in Smithton, PA? 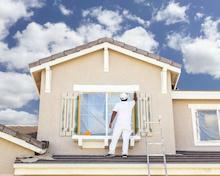 Consider a set of replacement windows. New windows can breathe new life into your property while making it more energy-efficient at the same time. And at J M K Contracting LLC, we provide quality window installation services for home and business owners alike. Windows are a great way to improve your property's aesthetic appeal. And thanks to today's energy-efficient options, your new windows could end up saving you significant amounts of money on heating and cooling costs down the line. So if you're ready to make a solid investment in your Smithton, PA home or business, call J M K Contracting LLC to request an estimate and learn more about the products we offer.